People have always been reluctant to turn down a job offer, especially after spending long periods of time pouring through classified job ads. However, there are many reasons to turn down an offer that isn’t suitable even when you are unemployed. Learning some of these reasons may help keep a job hunter from getting stuck with a really terrible position. There are several ways you can get bad vibes when applying for a job. 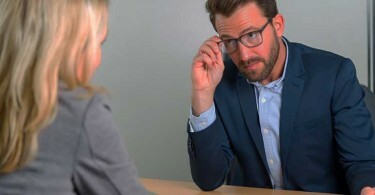 After you’ve soared through your interview on the wings of eagles and go in to meet your potential new boss and the other employees, something just doesn’t seem right. The office environment doesn’t feel warm and friendly, and the boss and employees are standoffish. Maybe your questions don’t get answered the way you think they should, or the staff appears unprofessional and lacks the seriousness you want in a work environment. Any of these red flags should signal you to think twice about taking that job. Believing in the company you are working for helps to ensure you’ll do your best. However, if you don’t like the company, taking a job there can be a bad move. For example, say you are a widget salesman and believed strongly that the widgets sold by your former company were the best on the market. Going to work for another widget company when you believe the product is inferior does a disservice to the company and to yourself because you won’t perform your best. You’ve done your research and have a ballpark figure on what you should be earning in a similar position with your education and experience. However, the job offer comes in with a salary well under what you think should be offered. You can try to negotiate your salary upwards, but a really lowball offer isn’t likely to go up enough to pay you what you merit. Another reason is that you realize you can’t live on the salary offered, even though you like the job. In this case, you may want to keep looking. One red flag is when a company has a high turnover rate in employees. Happy people stay where they are, so something is afoot when people leave their positions in droves. Think twice before taking a job with this type of company. When you’ve been unemployed for awhile, you can become more desperate to take any job that comes along. When you have multiple jobs to interview for, accepting the first offer that comes along can be a mistake. At least give yourself enough leeway to think and perhaps go on other interviews before accepting a position. You’ve been offered a decently paying job, but you don’t see any opportunities to advance your career or build on your skillset. This can turn into a downward spiral of plodding from one day to the next and never getting anywhere or realizing your dreams. You would be better off looking for positions that can challenge you, offer opportunities to learn new skills and have advancement opportunities. Say, for example, you’ve been offered a great job with a good salary, but it requires a lot of time on the road or away from the family, something for which you were not prepared. Ask yourself if your family is going to find it difficult for you to be away from home for long periods. If you see it straining your personal relationships, this might be a good time to turn down the job. Finding an easier way to job hunt can give you more opportunities than searching job ads, so you don’t become tempted to take a job that offers you no satisfaction. 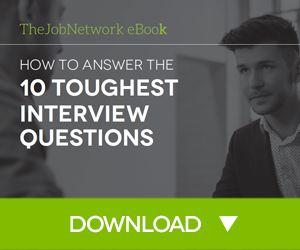 TheJobNetwork is a great way to find a job, while all you have to do is list your qualifications and job interests. We work around the clock to find you the latest job openings and send them to you in the form of email alerts. This way, you can apply right away and not waste time applying to job ads. 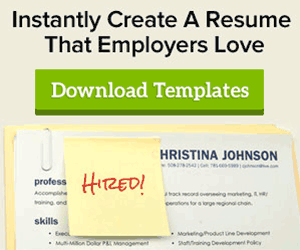 Sign up with TheJobNetwork to get started.